PostgreSQL is an open-source, object-relational database management system (ORDBMS) available for all major platforms including Linux, UNIX, Windows and OS X. Please mention your exact version of Postgres when asking questions. Questions concerning administration or advanced features are best directed to dba.stackexchange.com. Search has became an important feature and we've seen a big increase in the popularity of tools like elasticsearch and SOLR which are both based on lucene. They are great tools but before going down the road of Weapons of Mass Search, maybe what you need is something a bit lighter which is simply good enough! JSON support is the most interesting new Postgres feature of the last few years. It relaxes the primary constraint of SQL databases — the rigid schema structure — by letting you store semistructured data in your tables alongside other data. It also decisively counters the NoSQL trend by giving users document store-like semantics in a proven, mature database technology. Schemaless storage engines promise to make your life easier by removing the need to worry about a schema. In reality these systems simply make it your own responsibility to ensure data consistency. How do you search for a value quickly? Create an index. What do you have to remember to do when joining two tables together? Create an index. How do you speed up a SQL statement that’s beginning to run slowly? Create an index. But what are indexes, exactly? And how do they speed up our database searches? The most powerful tool at our disposal for understanding and optimizing SQL queries is EXPLAIN ANALYZE, which is a Postgres command that accepts a statement such as SELECT ..., UPDATE ..., or DELETE ..., executes the statement, and instead of returning the data provides a query plan detailing what approach the planner took to executing the statement provided. A good first step in diagnosing performance problems is simply looking at the database from the outside. 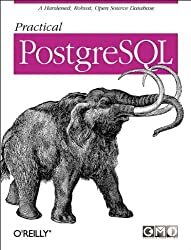 You can do jobs, queues, real time change feeds, time series, object store, document store, full text search with PostgreSQL. How to, pros/cons, rough performance and complexity levels are all discussed. Many sources and relevant documentation is linked to. A dive into the mechanics that allow Postgres to provide strong atomic guarantees despite the chaotic entropy of production. It’s a story no one wants to encounter: Your primary key column runs out of values and your database starts exploding. Despite the fact that an ETL task is pretty challenging when it comes to loading Big Data, there’s still the scenario in which you can load terabytes of data from Postgres into BigQuery relatively easy and very efficiently. This is the case when you have a lot of immutable data distributed in tables by some timestamp. For example, a transactions table with a created_at timestamp column. BigQuery and Postgres have great tools in order to do this pretty fast and conveniently. In this article, we’ll explore some of the drawbacks we found with Postgres and explain the decision to build Schemaless and other backend services on top of MySQL. Version 10 of PostgreSQL added the declarative table partitioning feature. In version 11 (currently in beta), you can combine this with foreign data wrappers, providing a mechanism to natively shard your tables across multiple PostgreSQL servers. The primary purpose of table-level locks is to block reads and/or writes when changes to the underlying table structure are made during DDL commands such as ALTER TABLE. However, not all DDL commands need to block reads or writes, some only block each other. PostgreSQL is an open source multi-purpose relational database system which is widely used throughout the world. It is one huge system with the integrated subsystems, each of which has a particular complex feature and works with each other cooperatively.